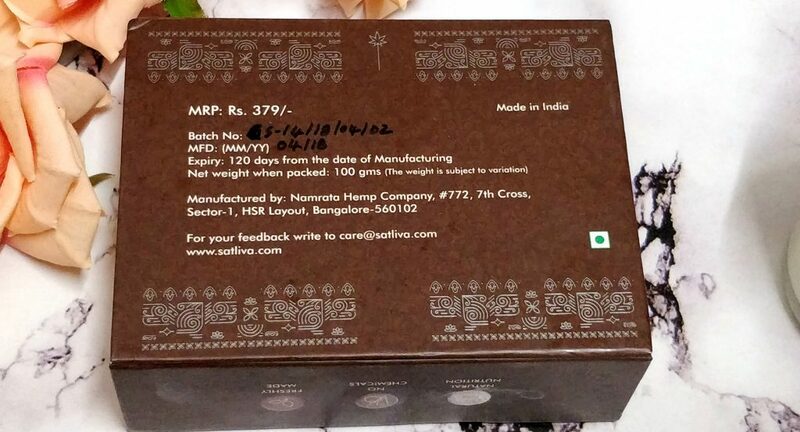 In today’s post, I am introducing a new brand, ‘Satliva’. 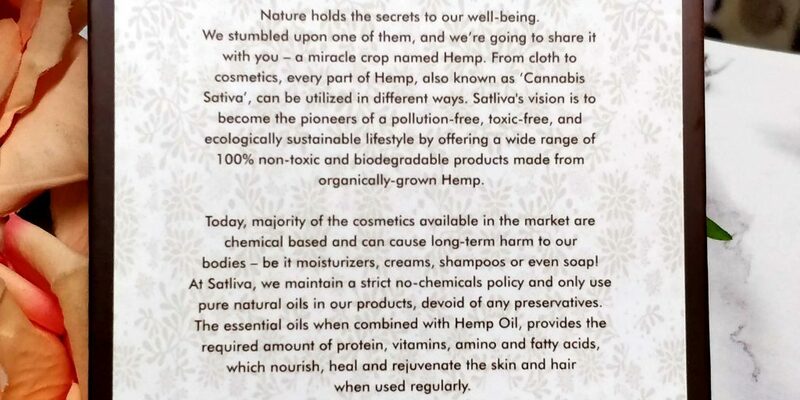 Satliva have a variety of luxury hemp bath, body and hair care products. They have a range of cold pressed, freshly made range of body butters, lip balms, hair creams, face creams and body oils. Their products are made in small batches and can be customized to suit every skin conditions. 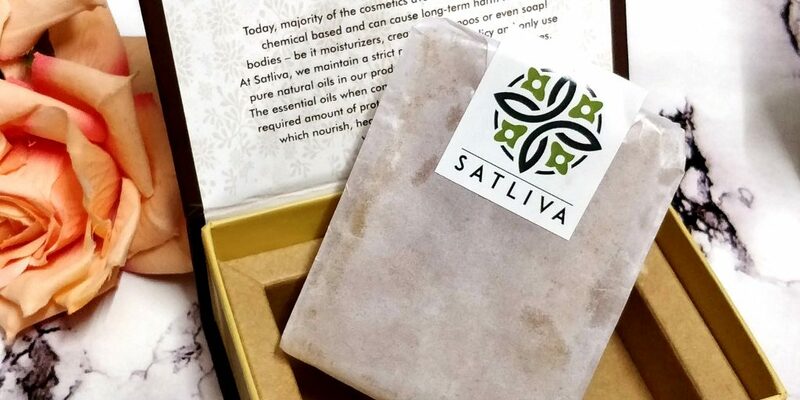 All of Satliva products are made of ‘The Indian Himalayan Hemp Seed oil’, with its superior natural goodness, is gentle on the skin, provides the ideal Omega and Amino acids to enhance skin cells resistance to infection, rashes, minor cuts and bruises, at the same time soothing the skin, helping to make it soft and supple. Hemp Oil Regenerates and Energizes The Skin’s Protective Layer: Due to its high content of omega 3 and omega 6 fatty acids, hemp oil has a composition similar to skin lipids, which makes it an excellent natural emollient and moisturizer. It is especially useful for dry, tired or dehydrated skin and nails. I was particularly interested in trying out the products. The Indian Himalayan Hemp seed oil, combined with carefully selected cold pressed oils and butters, with steam distilled essential oils. My body area had started to become dry because of the seasonal change and I was in search of a natural solution to combat the dryness and stretch marks. Here are a list of items I got to try. Hemp is the industrial counterpart of cannabis. Hemp has almost zero level of TetraHydraCannabinol (THC), which is responsible for psychoactive element in recreational cannabis. The hemp seeds and hemp seed oil is loaded with vital nutrients, Essential fatty acids Omega-3, Omega-6 and Omega-9, 21 amino acids including 9 essential amino acids which are not produced by our body, magnesium, protein, fibre, iron, vitamin D, potassium and more minerals. Do you have a super dry skin ? Or, Are you looking for a good body butter that smells nicer with no artificial ingredients or chemicals, non greasy to be able to use everyday. Here is the answer. 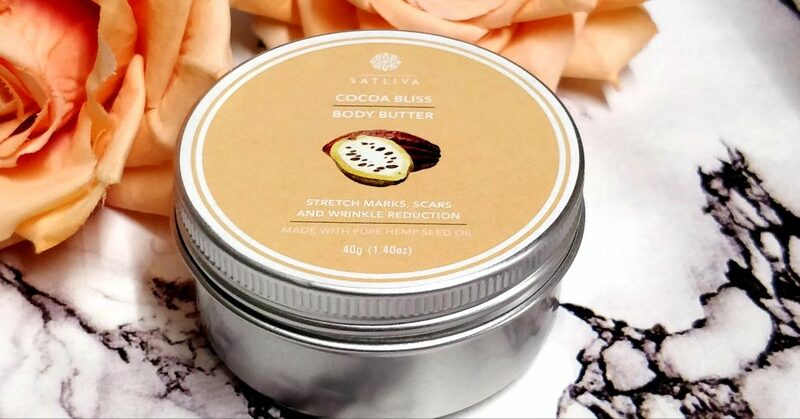 Cocoa Bliss Body Butter with Peppermint is a mix of cocoa butter and peppermint. It’s totally edible as per the company claim. I never tasted though 😛 . It could melt in the scorching hot climate. So, I recommend to store in a dark, cool place or refrigerate it. 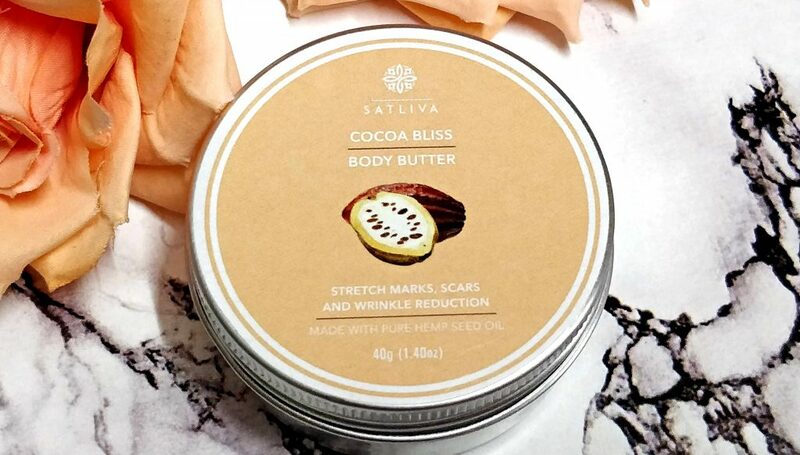 The cocoa butter has a pleasant natural aroma. 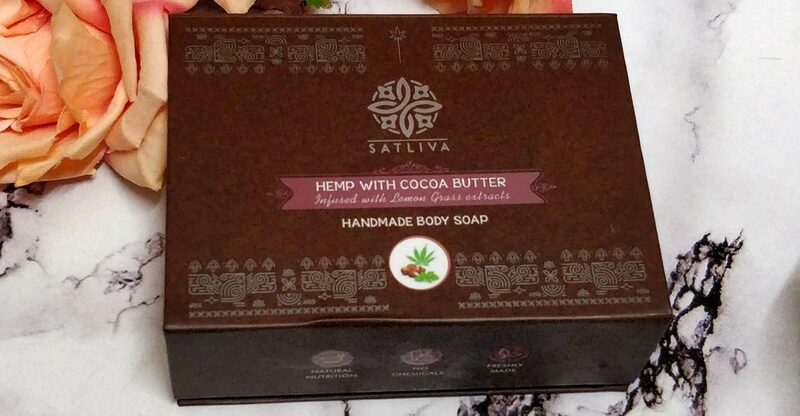 It’s made with Hemp seed Oil, Cocoa Butter, Moringa Oil, Jojoba Oil, Bees wax, Peppermint Essential Oil. helps reduce stretch marks, scars and wrinkles. Safe to use during pregnancy too. But, it’s always advisable to check with your doctor first as some essential oils might not suit everyone. Helps reduce stretch marks and tighten the skin. Mild chocolaty aroma, it’s cold-pressed & freshly-made on order. I scoop out a little amount using a spatula and spread it on my body area – especially areas like legs, belly and arms etc. Massage gently till it’s completely absorbed. It feels non greasy on skin. Not like any heavy duty body butters. It sinks in pretty easily and the peppermint feel is soothing as well. I use it at night ad I see a remarkable difference on my body already within a weeks usage. The dry patches on my skin is completely gone. Skin feels more healthy and soft. It feels very relaxing to massage it to the foot soles. How the product looks. It spreads easily and sinks pretty quickly onto skin. 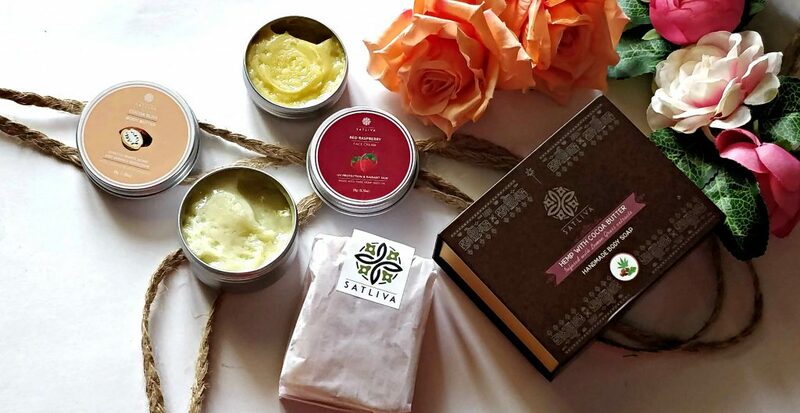 The cocoa body butter, hemp seed oil, jojoba oil and peppermint combo is great for skin, while the beeswax an emulsifier. Provides necessary hydration to the dry body area and improves the texture of the skin. A special mention about beeswax – it protects the skin against irritants while still allowing it to breathe. Offering anti-inflammatory, antibacterial and antiviral qualities, it is naturally helpful in eliminating skin irritations. it’s beneficial for insect bites, rashes as well. Excellent for stretch marks and restores elasticity to the dull skin.Skin feels very soft within few days of usage. There are 2 different sizes available on their website. 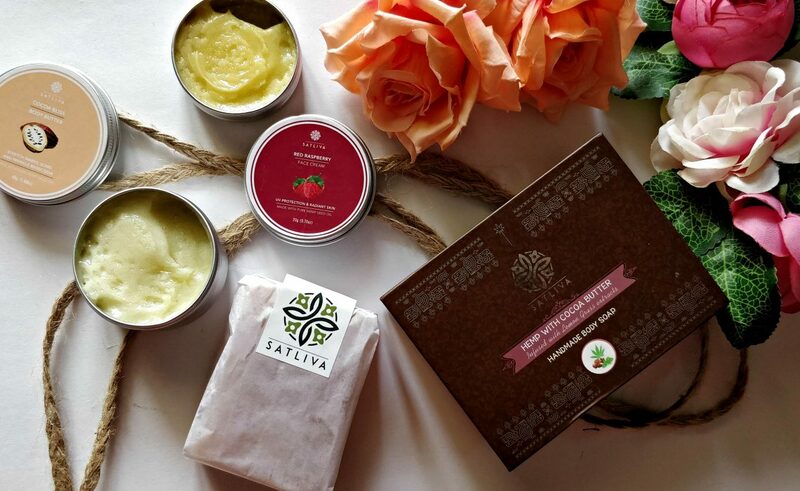 Note – The body butters cannot be applied on the face. As the cocoa butter is comedogenic and blocks the facial skin pores. 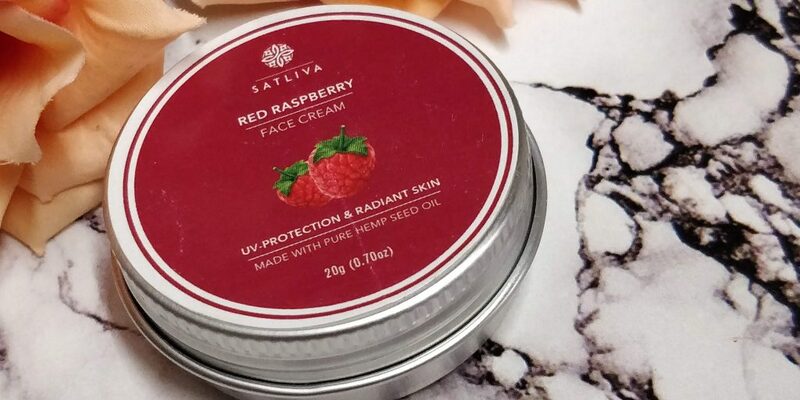 Satliva Red Raspberry Face Cream is made with Hemp Seed Oil, Mango Butter, Red Raspberry oil, Geranium essential oil, Jojoba Oil, Carrot seed oil and Tea tree oil. It provides UV-Protection as well. Red Raspberry seed oil acts as a shield against UVA-induced damage, making it great for harsh summers. It has moisturizing, anti-inflammatory and antioxidant properties. As it’s a mix of different essential oils; it tends to melt in extreme hot conditions. It absorbs quick. You only need a pea size amount for the entire face. My mom loves to use this. She use it as a massage cream for face after bath everyday and she says, it gives the most relaxed feeling ever! It also helps reduce new acne scars. The fragrance is very natural and mild. Love the packaging as well. Its a screw top lid tin. Due to its pure nature it has a shorter shelf life. If you prefer, you may also opt to use it for your body. 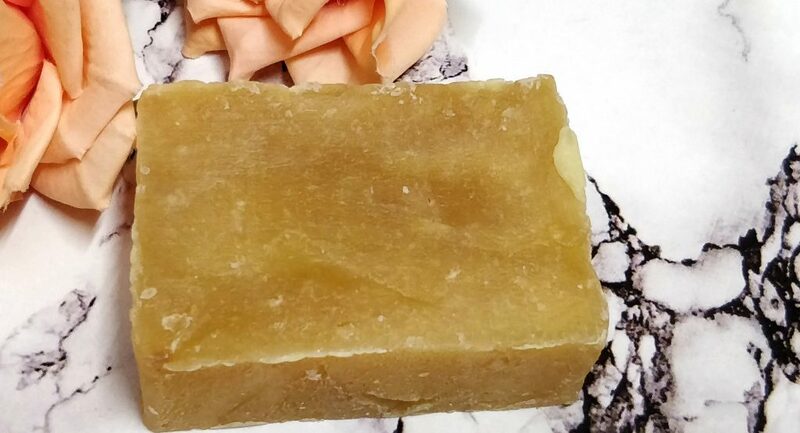 This is a cold pressed soap made with Hemp seed Oil, Castor Oil, Coconut Oil, Palm Oil, Cocoa Butter, Peppermint Essential Oil & Lemongrass Essential Oil. It has a mild peppermint citrus fragrance. 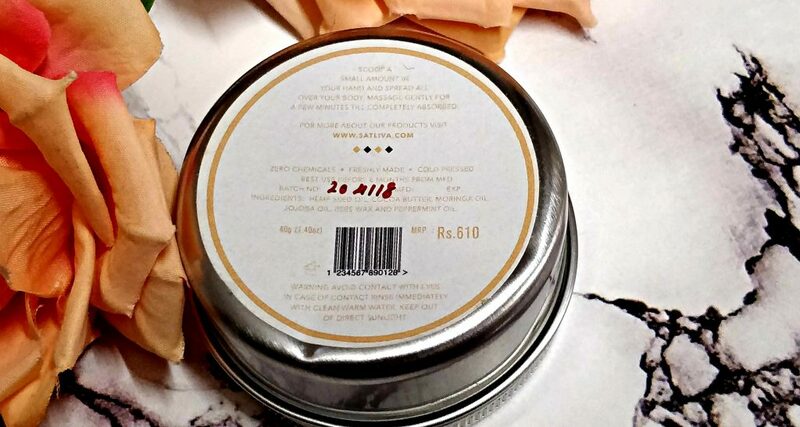 Packaging is really unique and luxurious for a soap bar. It’s good for gifting. I am not a big fan of this soap. I find them very expensive. Though it has lemongrass fragrance to it. To me, it’s not as refreshing as the company claims. It gives a peppermint sensation to the body and gives a cooling effect after wash. Nice to use for a warm body bath before bed time. It’s good for normal-dry skin. Lathers well in contact with water. However, it melts quite quickly. I recommend you to cut the soap bar into two and store it in area without any water contact. 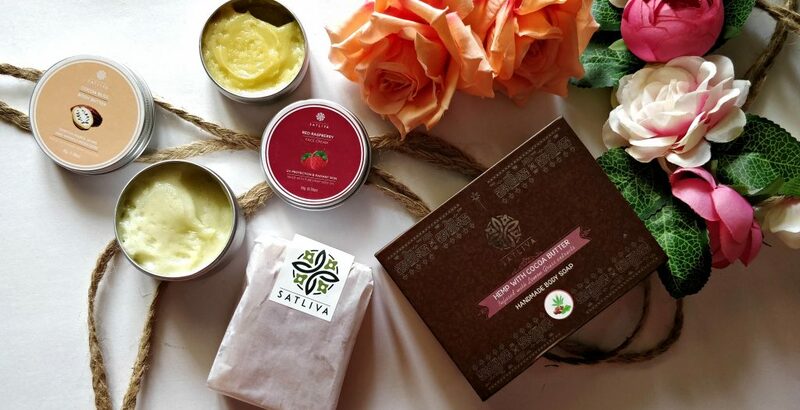 Note : The Satliva products can be used by anyone or customized according to their skin condition, if any. Expecting moms, should consult their physician before using Satliva products. ** Products sent by brand. However my reviews are honest and unbiased as always. I am a huge fan of natural products, and I’m always looking to try new ones. I will definitely be looking into these! 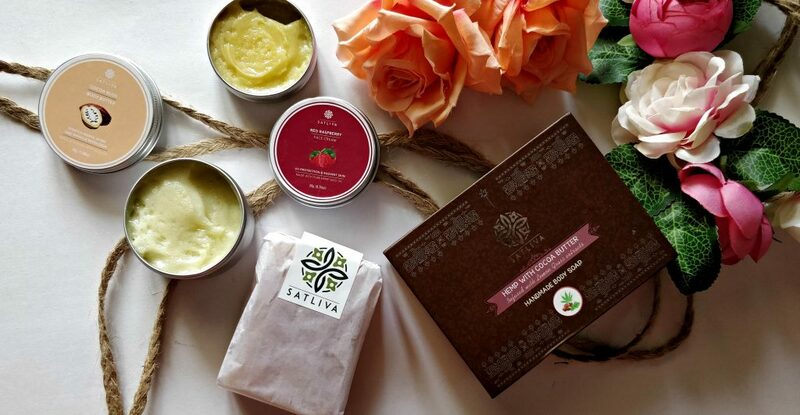 That raspberry face cream sounds divine! I’d love to check that one out!